Sometimes cheap is just that. Whale oil, kerosene, gaslight, incandescent bulbs, and now, LEDs. We’ve been using lamps for hundreds of years. You’d think that everyone would have a handle on how to make a good one. 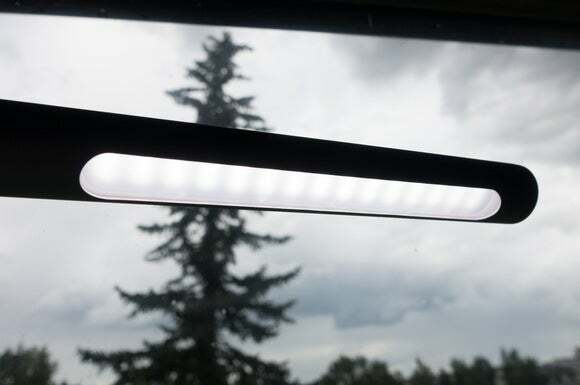 I am here to tell you, after spending a week loathing the Aukey Eye-Care LED Desk Lamp, this is not the case. In that it turns on and has the ability to illuminate an area, the Eye-Care fulfills its role as a lamp. 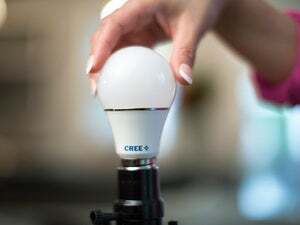 A touch-sensitive section of its cheap plastic base allows you to turn the lamp on and off, and you can set it to three brightness levels. The illumination the lamp’s array of 30-LED array produces is cool white (color temperature of 5500K), clean, and even. Turning the lamp on and off requires that you tap your way through all three lighting levels. Normally, I’d be annoyed by that; but in the face of everything else about the Eye-Care that I dislike, it's small potatoes. 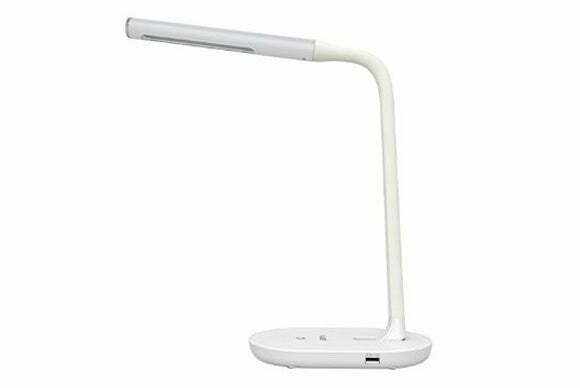 The Aukey Eye-Care LED Lamp lights up—like a lamp. So it’s got that going for it. Let’s talk about its build quality, first. Lamps are, typically, stationary devices. They sit on tables or desks and are largely ignored until it’s too dark to see what we’re doing. Most needn’t be built to withstand the falls, bumps, and casual abuse that we inflict on more portable devices. But I do expect that they be built with materials that are up to the challenge of doing, well, lamp stuff. The Aukey Eye-Care is not. 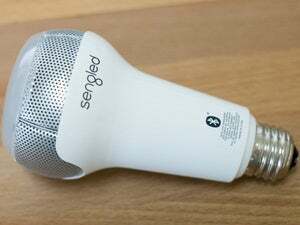 All-in, the lamp weighs about 2.5 pounds, with the bulk of its weight in the lamp’s bendable metal goose neck and aluminum LED enclosure. The lamp’s plastic base isn’t heavy enough to support the weight of either of these. Extend the gooseneck (which is the point of having a goose-necked lamp) too far and the whole thing falls over. The Eye-Care is designed to sit on a desk—a place where many people keep their expensive computers—so I’m not OK with that. Additionally, I found that the gooseneck’s silicon sheath started to pull away from the metal underneath after only a few days of use. So, yeah, that’s what you get for $30. The Eye-Care comes equipped with a single 5.0-volt/2.0-amp USB charging port. I was able to charge my iPhone SE with it, but tablet and phablet owners will be disappointed by its slow, low-voltage output. Honestly, the ability to charge a smartphone isn’t enough to make me recommend this lamp to you. It’s a poorly designed product you should stay away from. There's a big difference between cheap and inexpensive. This lamps falls squarely in the former category.